Remove the rear wheel speed sensor harness connector cover nuts (1). Remove the rear wheel speed sensor harness connector cover (1). 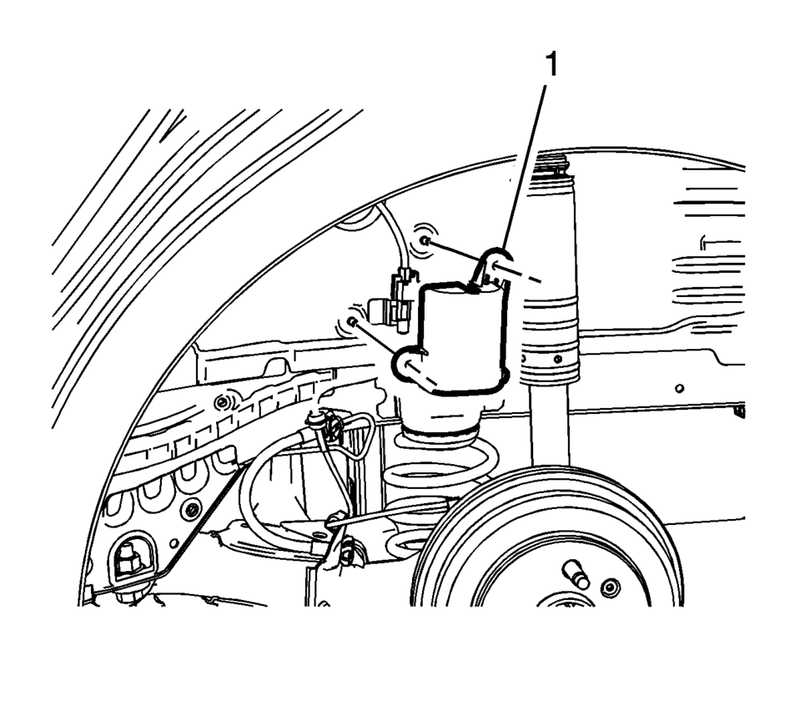 Clean the rear drum brake area around the wheel speed sensor of any accumulated dirt and debris. 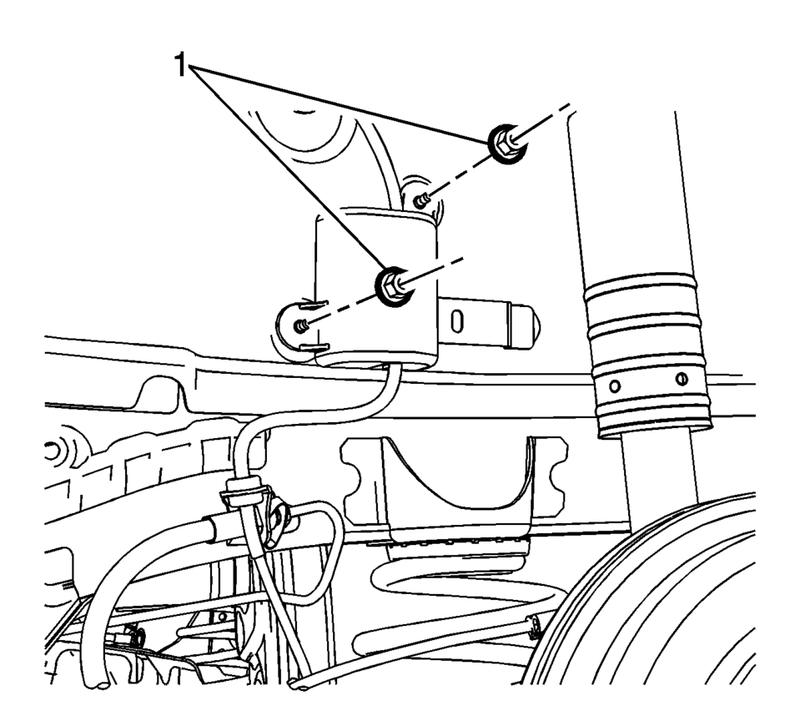 Disconnect the wheel speed sensor electrical connector (1) and release the connector from the wheelhouse bracket. Release the wheel speed sensor harness retainer (2) from the wheel cylinder brake pipe. Release the wheel speed sensor harness grommets (3) from the bracket. 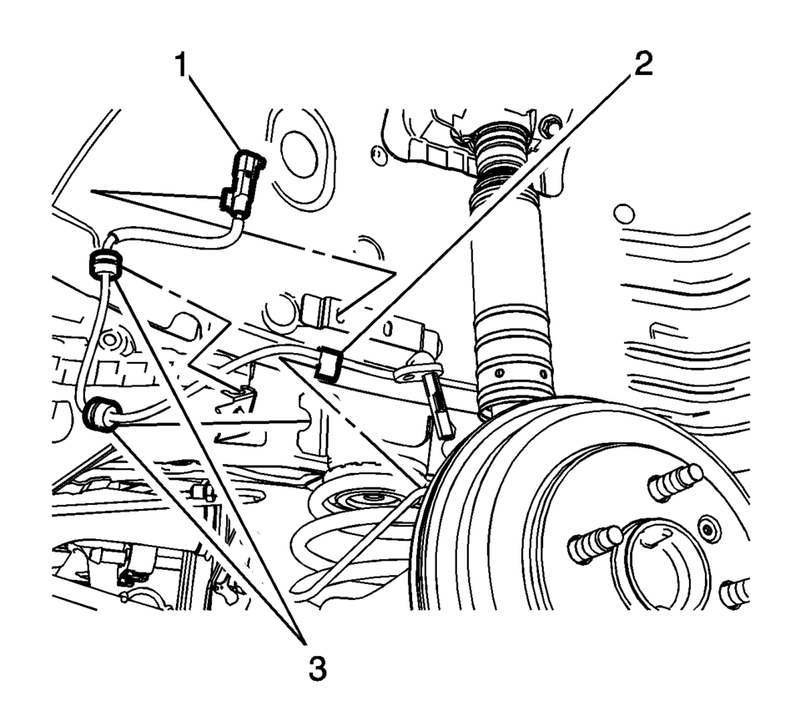 Remove the wheel speed sensor (1) from the rear drum brake spacer by pulling the sensor straight upward using a slight twisting motion. Install the wheel speed sensor (1) to the rear drum brake spacer. Connect the wheel speed sensor electrical connector (1) and install the connector to the wheelhouse bracket. 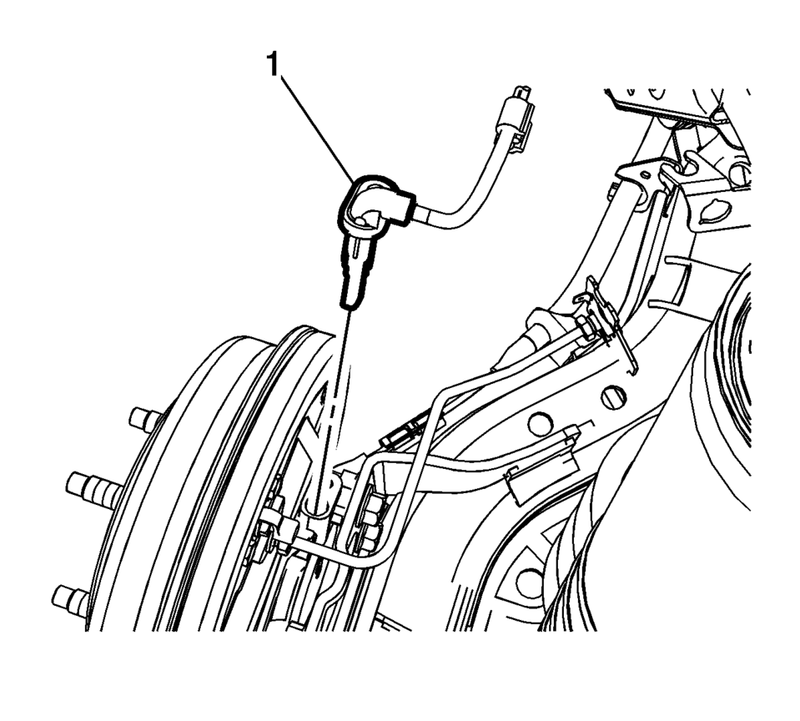 Install the wheel speed sensor harness retainer (2) to the wheel cylinder brake pipe. 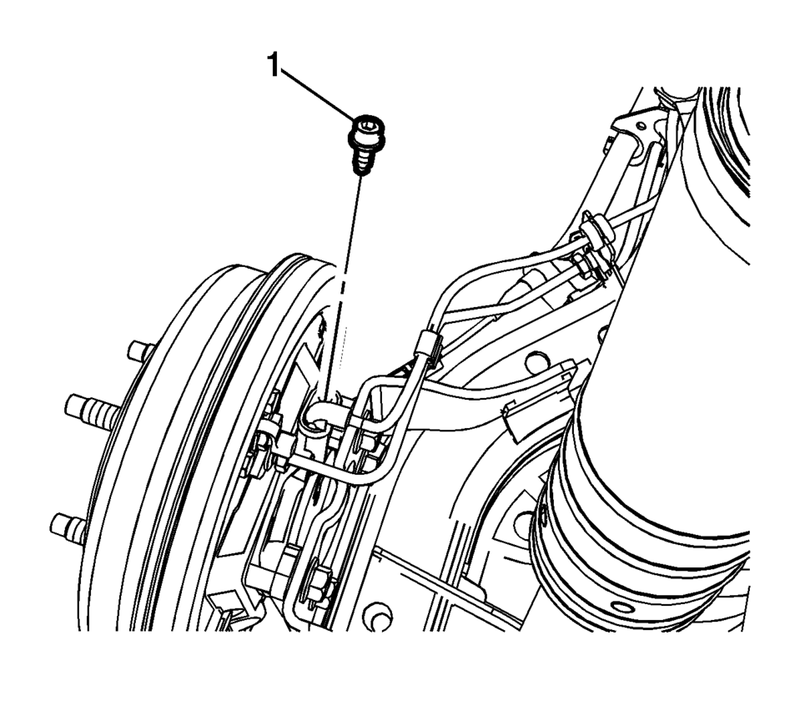 If the wheel speed sensor grommets are equipped with a molded rib, position the grommets with the rib at the open end of the wheel speed sensor harness brackets. Do not twist the wheel speed sensor harness. Install the wheel speed sensor harness grommets (3) to the bracket. Install the rear wheel speed sensor harness connector cover (1). Perform the Diagnostic System Check - Vehicle.